begin free lessons- you will see how easy and convenient it is to learn harmonica. Learn to hold and blow the harmonica, read musical notes and rhythm, play and practice the first notes (C, E, G) and be ready for playing many songs. sign up! This website uses a new and user-friendly technology so students can learn quickly and easily. Students play while following the notes and harmonica tabs on the screen. 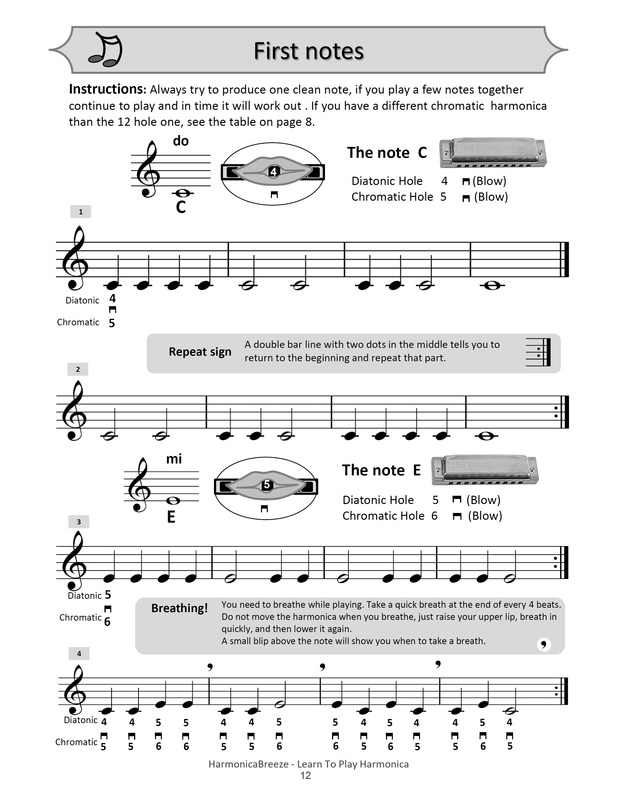 You can playback an online harmonica lesson as many times as you wish and whenever you wish. We recommend playing and practicing each day for at least 20 minutes. Each lesson is designed for a week of practice When you sign and subscribe you can access to all the lessons and all songs of the site and progress your own speed. Do not rush and progress step by step from "lessons for beginners". In this site you shall learn to read the notes, but You can play all the songs by heart with the help of Listening.